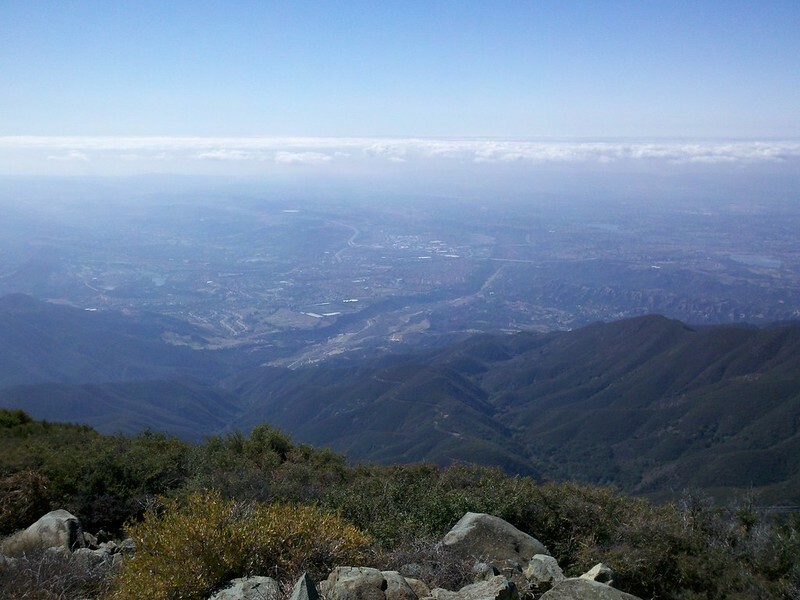 At 5,689 feet, Santiago Peak is the highest point in Orange County. 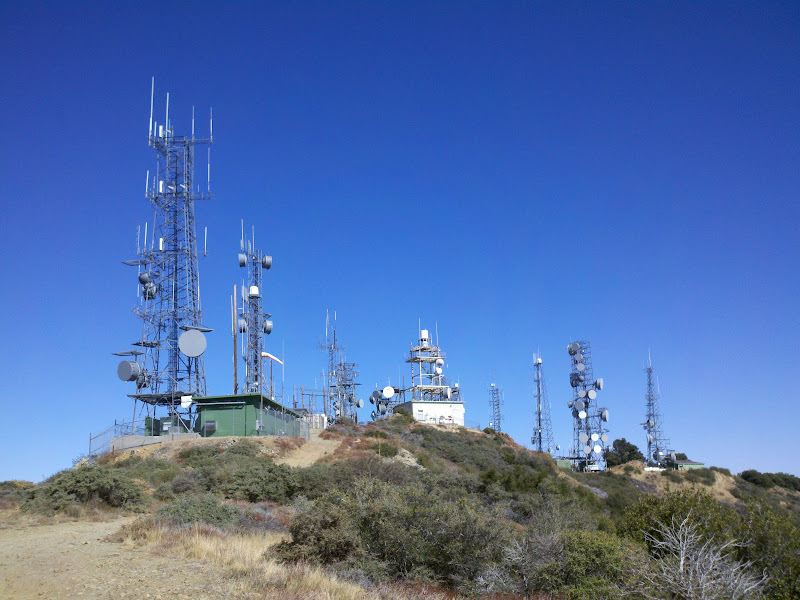 Santiago Peak and Modjeska Peak are also known as Saddleback Mountain. 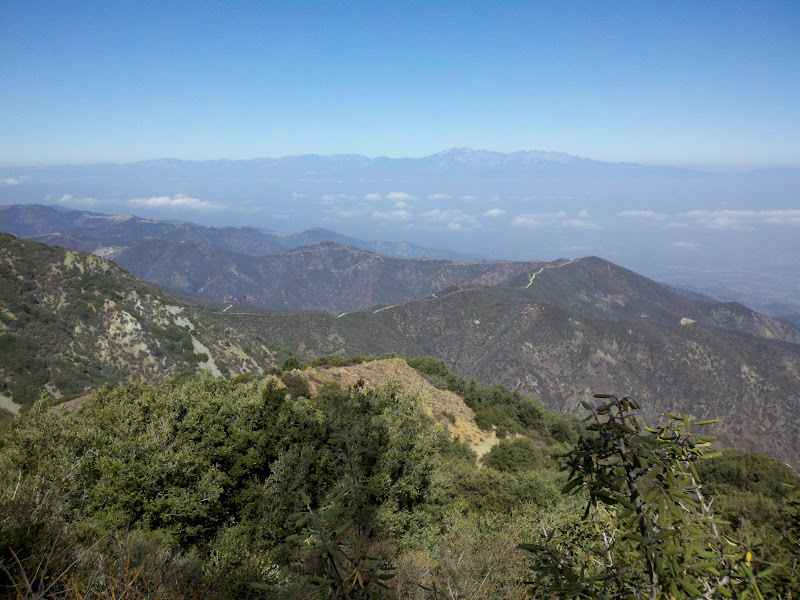 Santiago Peak offers views of Mount San Gorgonio, Mount San Jacinto, and Mount Baldy, as well as of Orange County and the Pacific Ocean. A National Forest Adventure Pass is required. 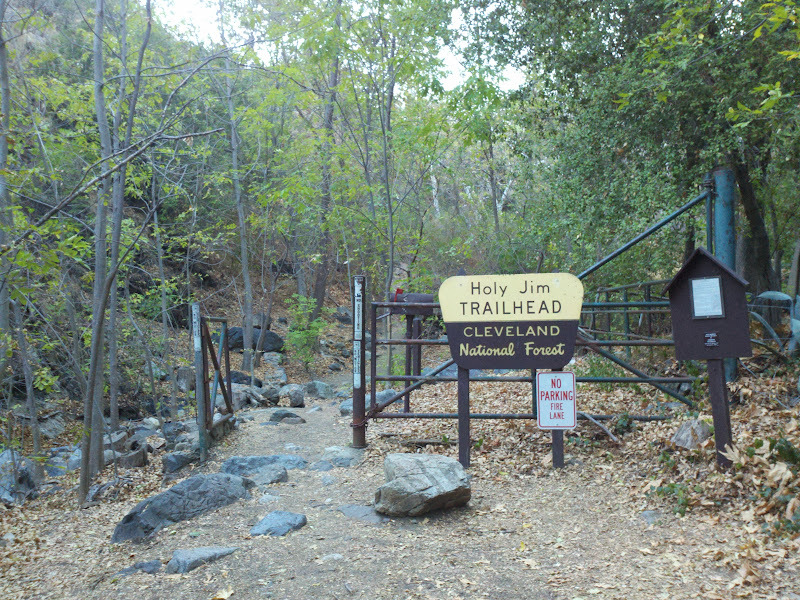 Holy Jim Trail is named after James Smith (aka old cussing Jim), a beekeeper in the late 19th century. 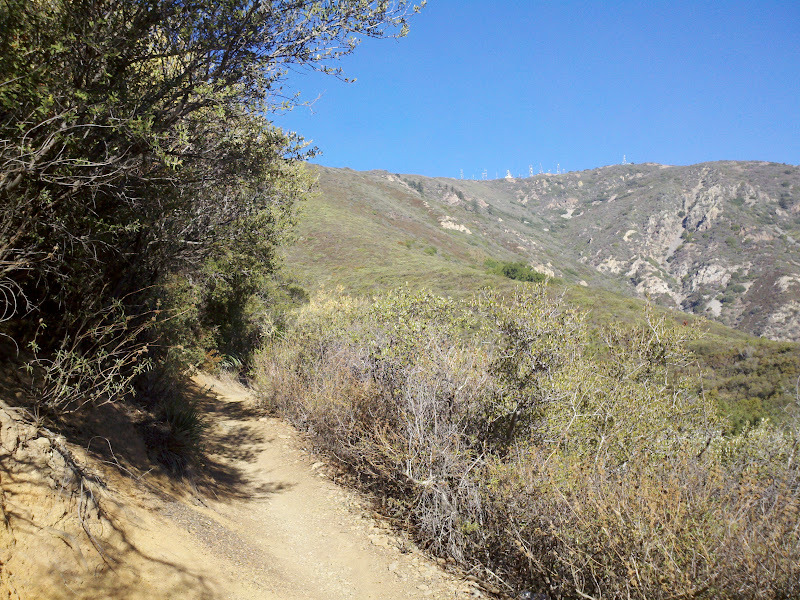 The hike starts in Trabuco Canyon (dirt road). The first half mile is paved, then the trail begins. 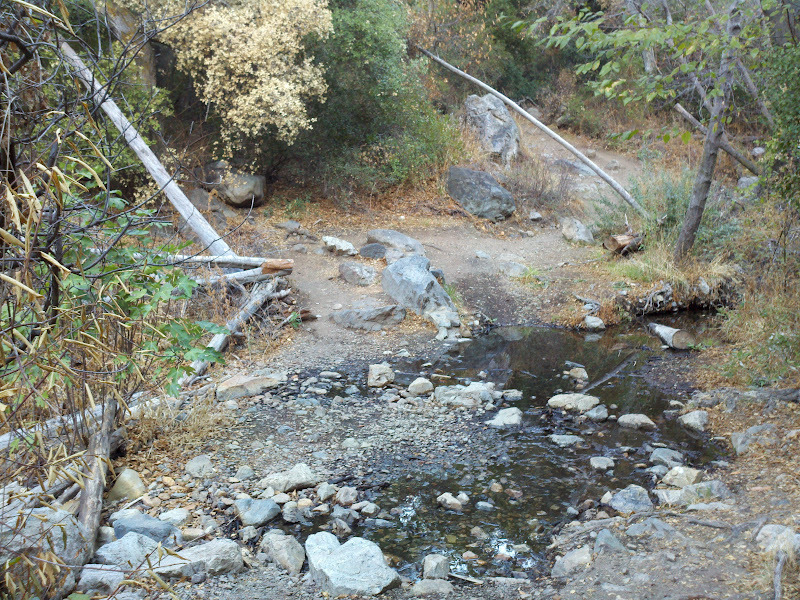 Initially it crosses Holy Jim Creek several times, then it forks. 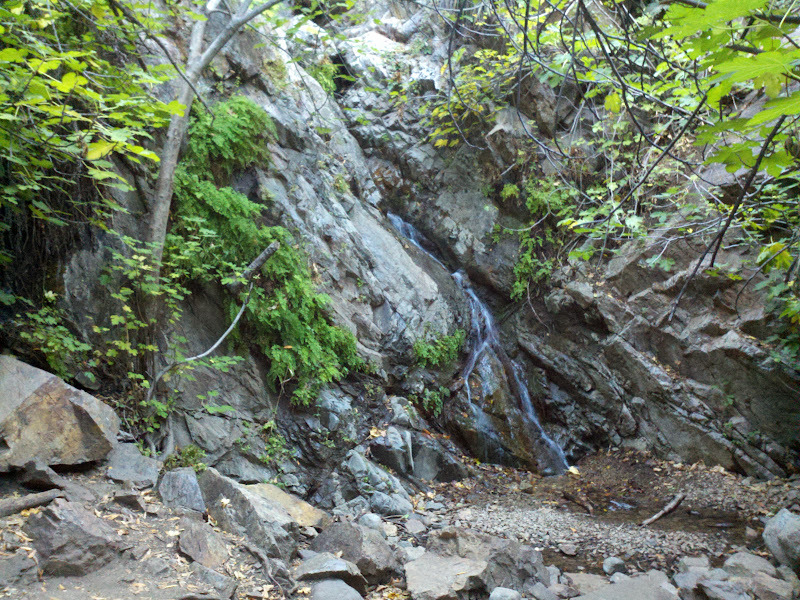 The right trail leads to Holy Jim Falls (half-mile roundtrip), the left trail continues on to Main Divide Road for three miles. 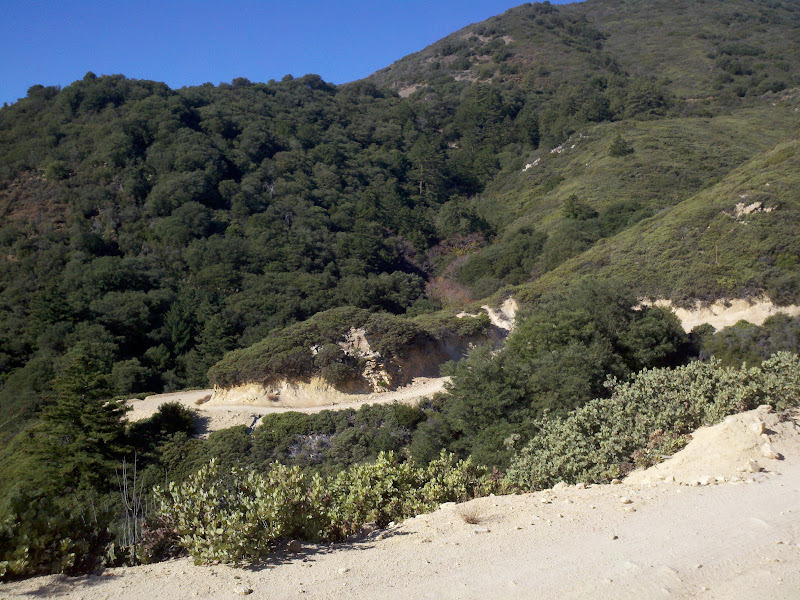 Turning left, the road leads to the summit. 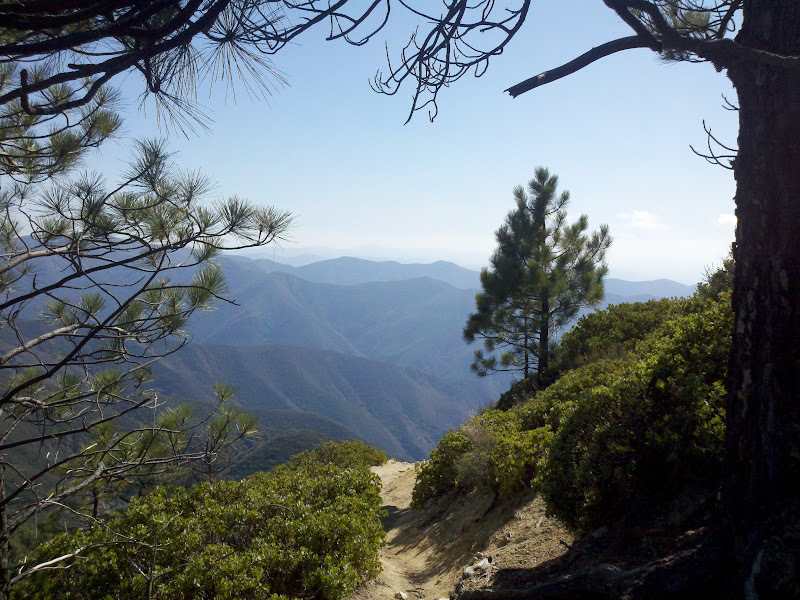 Turning right for less than half a mile, Upper Holy Jim Trail serves as shortcut with views across the Main Divide. 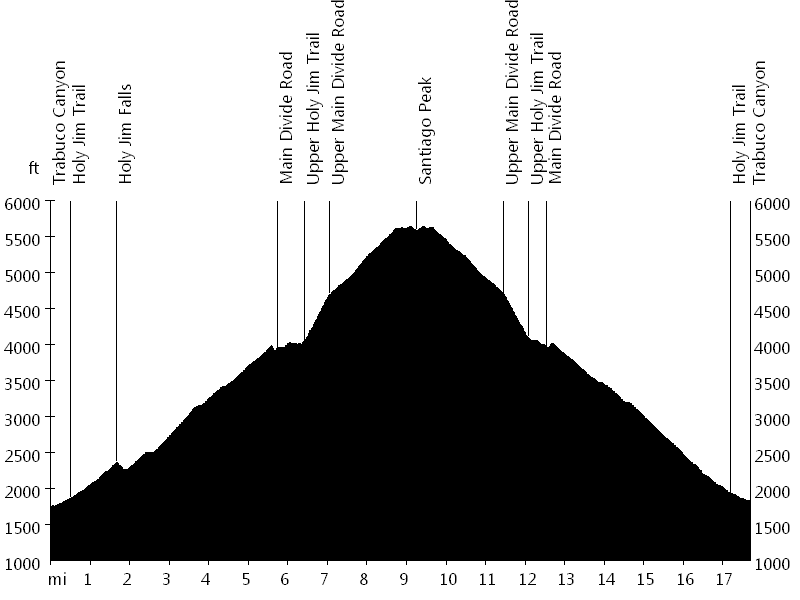 It rejoins Main Divide Road after less than a mile, which continues on to the summit for two miles. 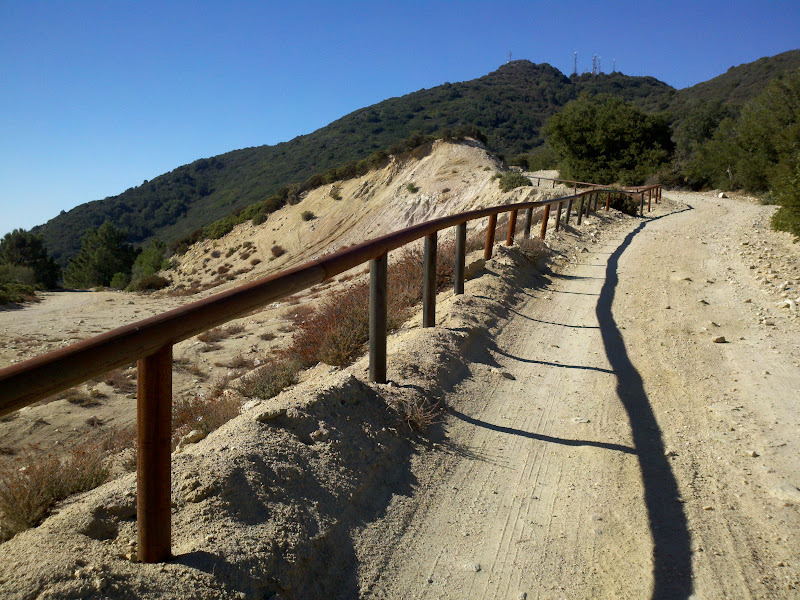 Harding Truck Trail starts in Modjeska Canyon and leads nine miles up to Four Corners. 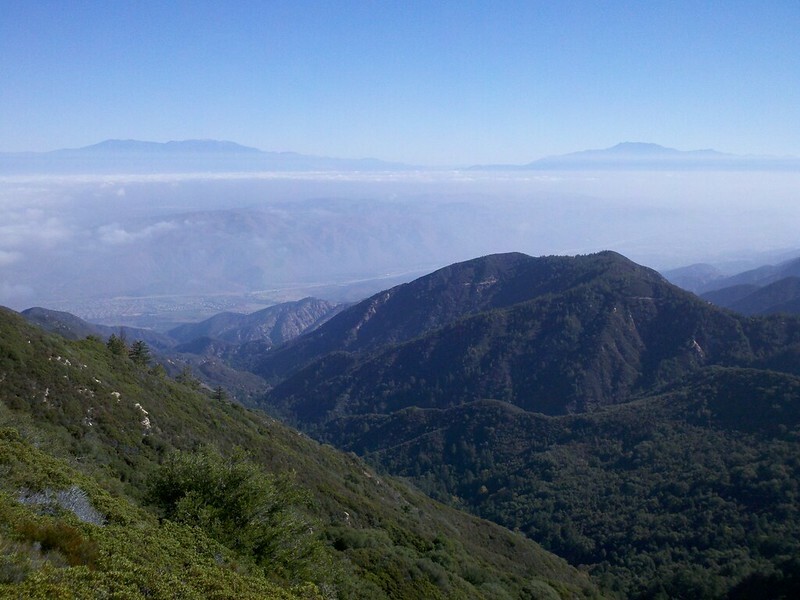 The fire road has mile markers at every mile and offers views of Orange County. I went solo and had an awesome day. 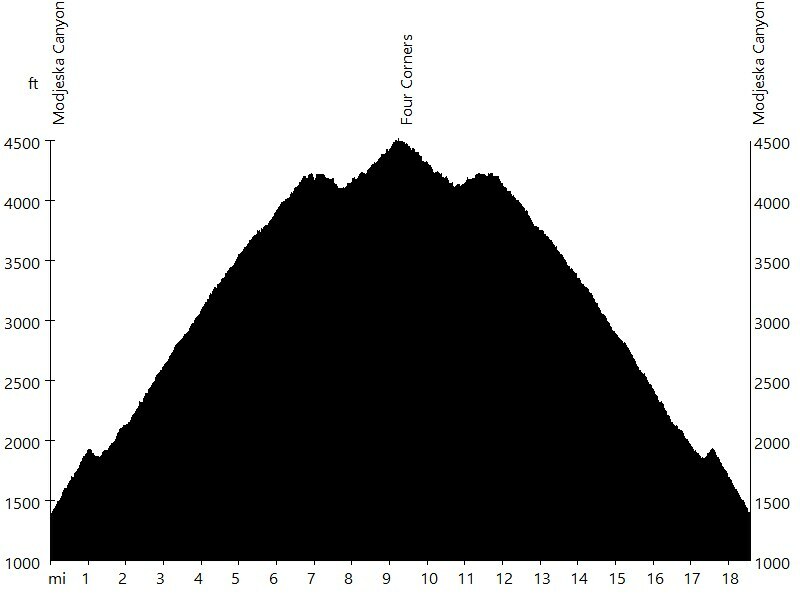 Since I started early, I was the first hiker on the summit, together with a few mountain bikers and off-roaders. Sandra and I hiked Harding Truck Trail to Four Corners in preparation of our Ecuador expedition.